Following the 2015 Annual Colloquium on Fundamental Rights dedicated to “Tolerance and respect: preventing and combating antisemitic and anti-Muslim hatred in Europe“, the European Commission has published a call for proposals under the Rights, Equality and Citizenship Programme. 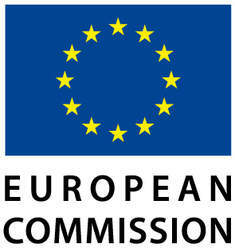 The Commission will award €5.4 million to projects on: training and capacity building to strengthen criminal responses to hate crime and hate speech; exchanging best practices to prevent and combat all forms of intolerance; empowering and supporting victims of hate crime and hate speech. As a result of last year’s call for proposals, financial support has been awarded to a number of projects including “Research, Report, Remove” and “eMORE”, which both focus on monitoring, mapping and the removal of online hate speech. More detail on the call for proposals can be found here. The deadline for submitting proposals is 18 February 2016. 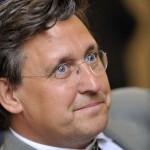 This entry was posted in News from Oikosnet on 3rd December 2015 by Sigtunastiftelsen. 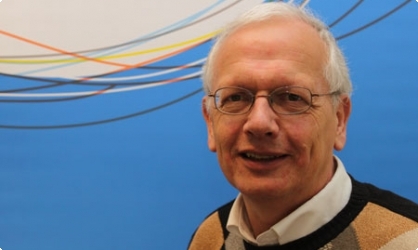 When the Annual Conference of Oikosnet Europe met in Villigst in September 2014 and had “Europe” as its main theme, the focus was on giving “new impulses for the European integration process” as Prof. Jörn Rüsen put it during the meeting. Already at that time Europe was perceived as being in a crisis. Much has happened in the meantime, much has happened in recent weeks and months. The number of refugees seeking asylum in the Schengen territory has reached unprecedented high figures – and each single refugee has his or her individual story and reasons to leave his or her homeland. Public authorities in many European countries feel totally overwhelmed in offering a welcoming environment and in offering social and health services. Many civil society initiatives, including church-related initiatives, step in and thereby setting countersigns to those who are engaging in hostile acts against foreigners. With the terrorist attacks in Paris on 13 November terrorism in Europe has reached a new dimension. In as much as comparisons never do justice to the victims, some newspapers have titled: “Europe is facing its 9/11”. Consequently, the debate “security” versus “freedom rights” is reaching a new climax. First and foremost, however, preventing and combatting intolerance and fundamentalism as well as promoting mutual respect and conviviality in increasingly pluralist societies are demanded. Again an area where the engagement of civil society and the role citizens’ education is indispensable. Both of these recent developments encouraged the Oikosnet Board to issue a public statement – the first since a very long time. The statement recognizes the commitment and active engagement of many Oikosnet members on these issues and encourages them to remain actively engaged. The refugee crisis and the terrorist attacks should not be mixed up – as sometimes done by populist speakers and movements. 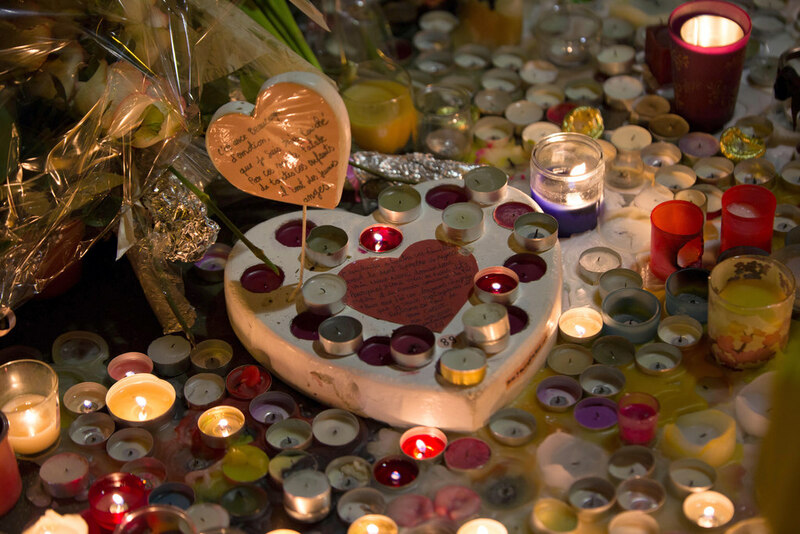 As investigations on the terrorist atrocities in Europe have shown thus far, the attackers were either European citizens or entered the continent on other paths. Refugees are not responsible for terroristic attacks in Europe. They are the victims of terroristic attacks and failing governmental policies in their home countries. They need protection. The right to asylum is not to be put in question. And Europe? Both of the recent developments show very clearly that a common European response is needed. No single European country is able to handle the amount of refugees nor the threat through terroristic acts on its own. The European Union is an important player in this regard, but a common response must also include countries like Russia and Turkey and it must be informed by the neighbours in the Middle East. For many Christians as well as in the logic of military conflicts, common European airstrikes in Iraq and Syria will not be the solution. UN programmes and countries in and around conflict zones, where still most of the refugees live in camps and often under inhuman conditions, must be resourced and equipped in order to be able to help people effectively. Channels which feed terrorists with finances, resources and weapons must be cut. A more effective EU Neighbourhood Policy with its eastern European and Mediterranean neighbours, at present under revision, is needed, including a strengthened civil society dialogue. In this, Oikosnet members, being committed to the Christian faith as well as to human rights and human dignity, have played and will play their role. The 2015 Annual Conference of Oikosnet Europe addressing the issue of “Fear” and “Remembrance” exemplified by the example of (Northern) Ireland and the work of the Corrymeela Community as well as by the training which Oikosnet offers under the name of “Dialogue for Peaceful Change” how important it is to have intermediate an unbiased institutions. These can help for people to share their “stories” with each other in a local, national or international context. “Only if narratives get changed, there is a real possibility for making a difference,” was one of the sentences participants took home from Corrymeela. This entry was posted in News from Oikosnet, Uncategorised on 3rd December 2015 by Sigtunastiftelsen. This is the working title for the Oikosnet Europe Annual Conference 2016, which is scheduled to take place in Prague, 7 to 11 September 2016 upon invitation of the Ecumenical Academy Prague and its Director Jiri Silny. As usual, the Annual Conference will be preceded by a meeting of the Gender and Justice Network and the Oikosnet Board. If you are interested in attending, please note these dates in your agenda. The official invitation will be issued to Oikosnet members by letter as well as through this newsletter in the first half of 2016. Please also consult the Oikosnet website. Under the title of the conference, the Ecumenical Academy in Prague will provide introductions, discussions, encounters and an excursion in order to shed light on how economic developments hit people in the Czech Republic after the revolutionary changes in 1989 and on how the Czech Civil Society, including the Ecumenical Academy, addressed the subsequent challenges. To which extend did the visions of those who were actively engaged in the Velvet Revolution become true? Did the transition process actually ever end? What are the challenges of today? 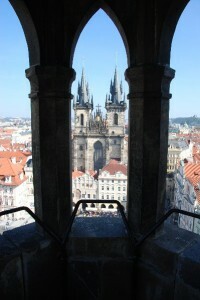 Does the Czech experience resonate with the experiences in other European countries? 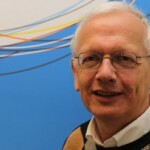 What conclusion can be drawn for the European Ecumenical Laity and Academy Movement? The newly elected Board met in Friedberg, Germany at the beginning of November. Several issues were discussed – and quite some deserve special attention, also in this newsletter. You see this in the different contributions. In addition to these issues, it is good to report about some other elements. Oikosnet International. This subject is always on the table, at least since we are connected with colleagues outside Europe. Especially the situation in the Middle East is visible almost from day to day. It turns out now, that our colleague from Aleppo isn’t able to travel anymore to his parish. too dangerous on the road, which ‘normally’ required about 4 hours but now needs at least 12 hours drive, about 50 road blocks included. And you never know for sure who has placed that road block and by consequence whether you survive this one. So it is not difficult to understand why so many people leave the area, leave the country, leave the region – and several of them head to Europe. We discussed this for quite some time, also having in mind what our members throughout Europe are doing for and with refugees. Regarding Oikosnet International we are in charge to get a meeting organised by next year. We will make attempts for that, probably connected to our Annual Conference, probably ‘just’ through Skype. Our new configuration. We discussed several elements regarding the new organisation structure in Sweden. In our next Board meeting we will discuss a draft constitution for our new Swedish entity. After that meeting we will send out the draft to our members, so every member can prepare for the discussion and decision, to be taken in Prague. The plan for the Board in the upcoming years. Formally we haven’t set a work plan, but we discussed about our priorities for the next years. As a Board we have the mandate to act in support for our members. Therefore we consider it important to start with 3 to 5 new projects in the upcoming years. And we would like to see both new members coming in as well as new and present members being active within one or more projects. For that we need a productive way of communication with and between members, a transparent way of working and communication, both within the Board and in the Association as a whole. Many things to do in a challenging time. We take up the challenges. Since 1995, the Iconography Workshop of the Orthodox Academy of Crete (OAC) cultivates the Byzantine art through the painting of icons and also by informing groups visiting the OAC on iconography. The Workshop provide iconography seminars to groups and to individuals from Greece and abroad. These seminars aim at offering a general orientation and acquaintance with Byzantine art. The main emphasis lies on the portable icon painting. The participants will learn and practice the techniques that are being applied during the different phases of its creation. Parallel to the practical section of their training, the participants get information on the theoretical framework of Byzantine iconography. The OAC scientific advisors deliver lectures on the theology of icons and the history of iconography. During the courses, the participants will visit places directly connected to the hagiographic tradition of the Orthodox Church, as it was experienced in the island of Crete. They have the opportunity to admire and study masterpieces of Byzantine and post-Byzantine art; many of them are to be found in their ‘natural place‘, in the churches and the monasteries. The participants stay at the OAC and taste the traditional Cretan cuisine. At the end of the courses, the participants receive a certificate from the OAC confirming their participation. 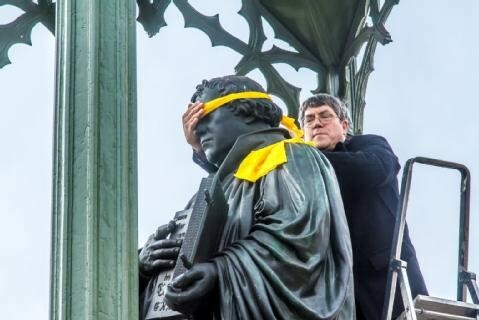 On 9 November, Friedrich Kramer, Director of the Protestant Academy in Wittenberg/Germany, climbed the stairs of a ladder and covered the eyes of the Luther statue in Wittenberg, the oldest of its kind in Germany. According to this symbolic act, Luther was not only blind on one eye when it came to his hostility against Jews. The Arab-European Citizens’ Dialogue continues. 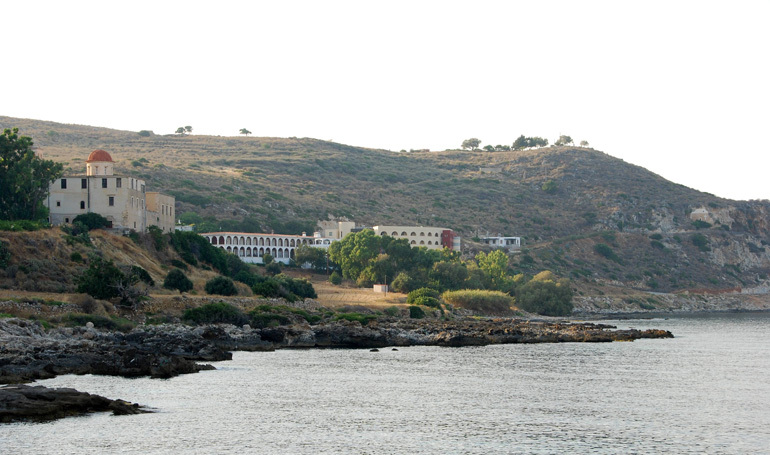 The 5th Consultation, under the title “Societies in Transition: Active Citizenship – Where can it make a difference?” is scheduled to take place in the Orthodox Academy of Crete, Kolympari (near the city of Chania) from Wednesday to Saturday, 9- 12 March 2016. The 5th Dialogue Conference is organized jointly by the Coptic Evangelical Organization for Social Services (CEOSS), Oikosnet Europe, the Sigtuna Foundation and the Orthodox Academy of Crete. After the last Dialogue Conference in Brussels (November 2014), the Arab-European Citizens’ Dialogue has gone through a period of reflection and restructuring. Recent events, both in Europe and in the Arab world, vividly illustrate the need to continue this dialogue. It is now Oikosnet Europe, the Ecumenical Association of Academies and Laity Training Centres in Europe, which has become the European partner for CEOSS. A concept note for the Dialogue has been drafted and is still under discussion. In addition, a new International Steering Committee has been established. A pre-invitation will be distributed shortly to all those who have been part of, or expressed interest in, this dialogue. For more information about this project in general, contact Rüdiger Noll (rudiger@rudigernoll.eu) or Alf Linderman (alf.linderman@sigtunastiftelsen.se). For more information about the Crete event in March next year, contact Katerina Karkala Zormpas (kkarkala@yahoo.com). This entry was posted in Uncategorised on 3rd December 2015 by Sigtunastiftelsen. „Europe: where does it begin, where does it end?“ – Under this title, Oikosnet Europe (OE) together with the Evangelische Akademie Villigst published the presentations of its Annual Conference 2014. The 200-pages booklet, however, offers much more than just the reflections on Europe of Oikosnet members and invited guest speakers. 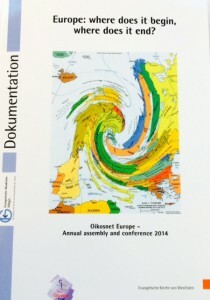 It also offers an introduction to Oikosnet Europe and its members. I contains basic texts of OE as well as portraits of many of its members. Whoever wants to get informed about the present state of affairs within Oikosnet and wants to participate in parts of the debate might consult the Oikosnet website or this booklet. The booklet might also be a valuable resource for those who consider to become members or just want to stay in touch. Copies can be obtained from the Oikosnet Secretariat or the Evangelische Akademie Villigst at a rather low price. 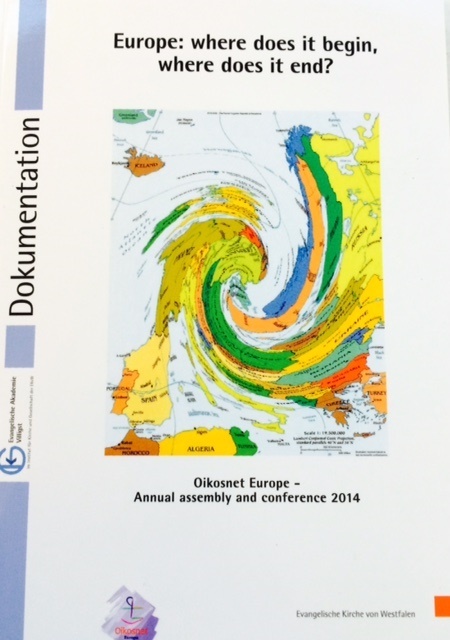 Please mail to office@oikosnet.eu with your request. After the night from the 13rd to the 14th of November France fell in state of shock. As the Charly Hébdo shooting was aiming the free press as well as the Jewish community now the whole population has become the target of terrorism. The remarkable wave of solidarity from all over the world which was shown toward French people was a strong encouragement for the whole population to withstand the immediate feeling of hate and revenge. Nevertheless the events of November 13th have a strong impact on democracy and civil society in France. Immediately after the President François Hollande declared the state of emergency for the whole country, state which has been extended for three months. This decision was taken by a overwhelming majority in the parlement with a strong support of public opinion and the press although this meant a sensitive restriction of civil rights. Only a few cautionary voices raised the question if the restriction of civil rights for the sake of national security is justified. The second worrying impact is the growing support for the extreme right wing party Front National of Marine Le Pen. For the regional elections, which will take place on the 6th and the 13th of December, a significant victory of the Front National is predicted. In relating terrorism and migration they try to create an atmosphere of suspicion and mistrust in French society towards migrants and Muslims. The French concept of laicity (secularism) seems to be clueless regarding the radicalisation of youth in French suburbs. In this way the slogan Pray for Paris could be interpreted as a sign that religion is not only regarded as problem but could be as well proposing solutions for living together in a pluralistic society. 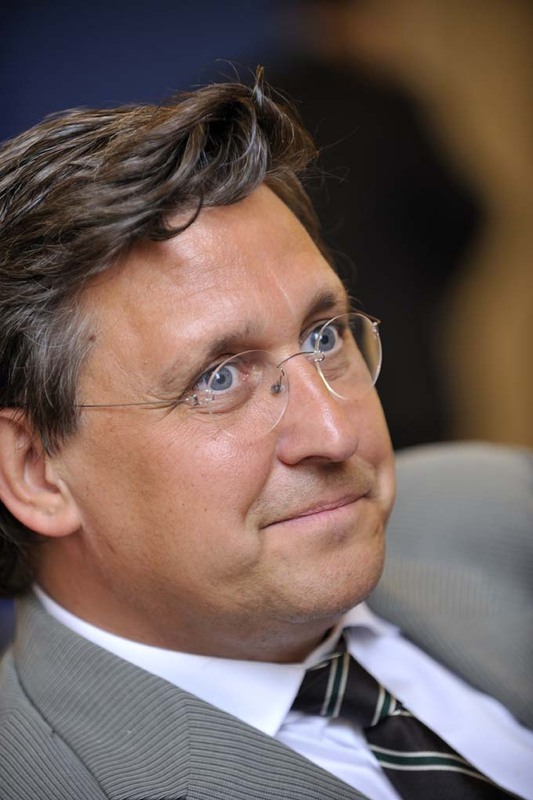 This entry was posted in News from Oikosnet on 2nd December 2015 by Sigtunastiftelsen. The next Board Meeting of Oikosnet Europe will take place in Prague, 16 to 18 March 2016. Projects of two or more Oikosnet members to be reviewed by the Board for financial support (“seed money”) should be handed in to the Executive Secretary no later than two weeks prior to the meeting. High on the agenda will also be the preparations for the Annual Conference 2016, membership issues and establishing Oikosnet Europe as an association under Swedish law.